This last month seems to have flown by and before I knew it my Birchbox had arrived! I have been subscribed to Birchbox for a good few months now and I have to say that I have been very impressed with it each and every month. 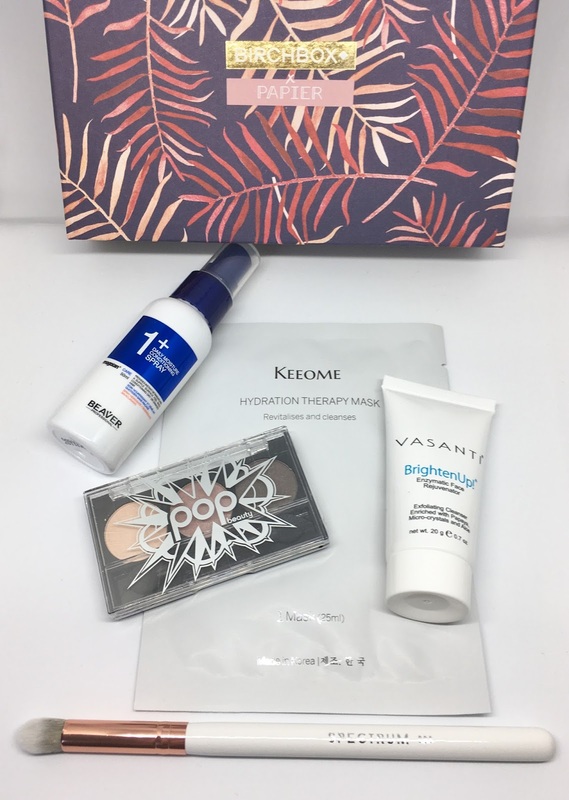 If you have read my blog for a while you will know I went through a phase of subscribing to ALL the beauty boxes and I quickly got bored of receiving the same samples over and over again but this time round I am very pleased that I decided to just stick to one subscription per month. 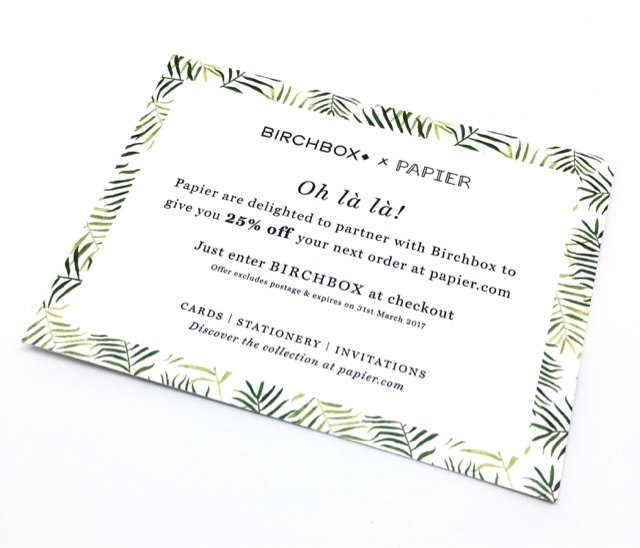 This month Birchbox have teamed up with a company called Papier to bring us a very pretty box which comes in two different shades, the one above or a light green design. 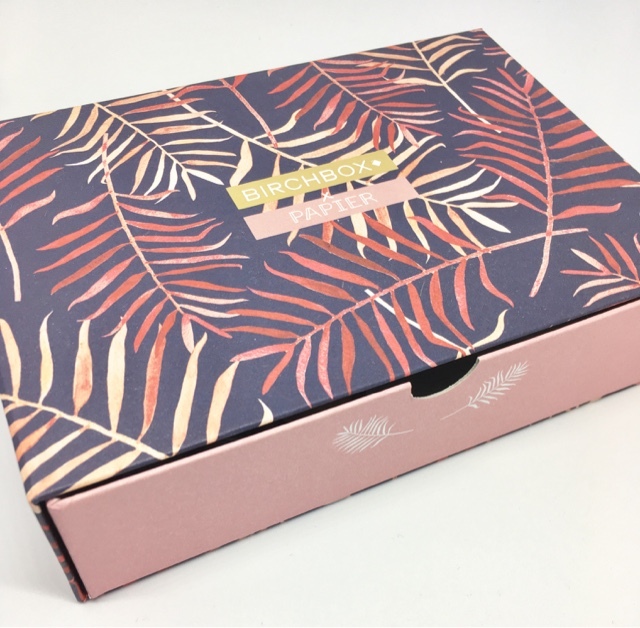 Papier are a stationary company who have some seriously pretty things so I would recommend checking out their website if you haven't heard of them before. "It can be tricky to find a product that conditions hair without weighing it down. Both a detangler and a hydrator, this lightweight treatment is formulated with a blend of organic herbal extracts to nourish dry hair, protect against breakage, and reduce frizz and flyaways." "Vasanti looked to powerful papaya enzymes to help create their Brighten Up! Enzymatic Face Rejuvenator. Perfect for improving your skin's texture, it results in a softer, brighter and younger looking appearance – just the pick-me-up we've all been searching for. Packed with dermatologist grade micro-crystals for that deep clean sensation, it also gently cleanses with aloe vera, coconut and panthenol to ensure maximum hydration and a soothing finish." 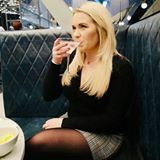 "With over a decade’s worth of experience in sheet mask development, this is one mask that’s truly been tried and tested for best results. The star ingredient? Mulberries, from the white mulberry tree. Beloved in China for it’s healing properties, this humble berry is packed with vitamins A and E to soothe and treat tired or dull skin. Your complexion will be brighter and healthier from first use." "If you love the look of a smoky eye but can’t quite master the application process, this kit might just change your life. It has everything you need to nail the look, from a pretty palette of long-wearing shades (that also double as liner!) to a versatile two-in-one brush. And if you’re in the mood for a less dramatic look, pick from any of the silky shadows for a wash of gorgeous colour." "Whether you’re a smokey eye newbie, or you’re a pro at smudging and defining, this gorgeous brush is a must-have. Crafted from synthetic bristles, the oh-so-slightly tapered tip is the perfect amount of fluffiness for blending, defining, and smoking out cream and powder shadows. Bonus: it’s absolutely b-e-a-utiful!" 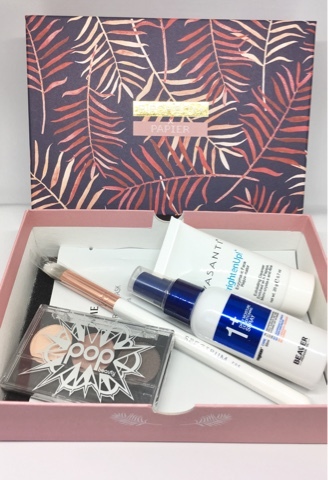 Again, I am really impressed with this months box and I will enjoy testing out each product - also Birchbox have given us a little hint as to what we will receive in March's box - a new lipstick from the amazing Benefit - I can't wait!